A hearing on January 9, 2018 — organized by Chicago Public Schools — ‘debated’ the threatened closing of the National Teachers Academy grade school. The facility would be changed into a high school benefitting wealthy families in the gentrifying South Loop. 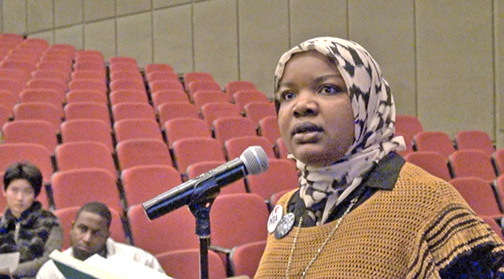 This hearing was a charade organized by CPS and City Hall to give the impression that Chicago’s low-income and minority families would actually control any of the decision making. NTA Parents and teachers (above) voice their strong opposition and expose this mockery of a democratic process.